The Silver Tsunami is on shore; older adults are among the most prevalent consumers of health care resources. While older adults represent a widely heterogeneous group, a common experience is the interpersonal and intrapersonal changes (often losses) in virtually every facet we can imagine. Seniors’ responses to these challenges vary widely-- from resilience to morbidity and despair. As psychologists, we are uniquely positioned to explore and understand the biopsychosocial phenomena of aging, as well as provide insight and support to seniors through clinical services, research, and advocacy. This intermediate level course will provide an overview of the silos of aging: neurology, psychopathology, cognitive/neuropsychology, endocrine, substance use/misuse/abuse, decision-making/capacity, interpersonal (e.g., dependence/independence, caregiving, bereavement, loneliness), intrapersonal (self-efficacy, selective optimization/compensation, identity), and cultural contexts. Treatment approaches will be highlighted, with a focus on local resources to enrich comprehensive treatment planning. Participants will have opportunities to reflect on the didactic presentations-- and deepen their learning-- by collaboratively applying their knowledge to a series of cases in small groups. Be able to cite the biopsychosocial approach to the older adult. Be conversant in the typical and atypical aging trajectories of neurology, psychopathology, cognitive, endocrine systems. Become aware of local resources to enhance treatment plans and opportunities for research and advocacy impacting older adults. Improve case conceptualization and treatment planning skills with older adults by working in small groups with other participants. Expand and deepen their professional network with “rubber hits the road” practice in applying biopsychosocial aging concepts in small groups of UPA members/friends. 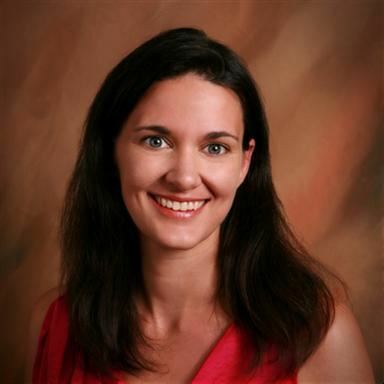 Kelly Davis Garrett is a graduate of Lewis and Clark College (1995), and Drexel University where she earned a Master of Science in 1999 and a PhD in 2002. She completed an internship in neuropsychology at Brown University and fellowship in neuropsychology at Utah State University at the Cache County Study on Memory, Health and Aging. Since 2004, she has worked at Intermountain Healthcare, specializing in neuropsychological assessment and cognitive care planning with older adults in neuro-rehabilitation, geriatrics, and internal medicine/integrated primary care settings. She was one of the architects of Intermountain’s care process model for Mild Cognitive Impairment and dementia, as well as its Late Career Physician program, which supports the credentialing of medical staff who are in their 70s and beyond. In 2018, she joined the Rocky Mountain MS/Neurology clinic, located on the LDS Hospital campus. She is a co-developer of the Philadelphia repeatable verbal learning test - English, Mandarin, Czech, and Farsi versions - as well as the cognitive vital signs tracker on the MS Care Connect app. Early Bird Registration expires on 9/22/2018, one week prior to the event.